1. WILLIAM ANDREW1 RIDGE1 was born 1860 in Oklahoma City Ok1. He married LALONNIE1. 2. i. WILLIAM ANDREW2 RIDGE, b. 25 Jul 1885, Rich Hill MO; d. 06 Jun 1958, Baltimore MD. 2. 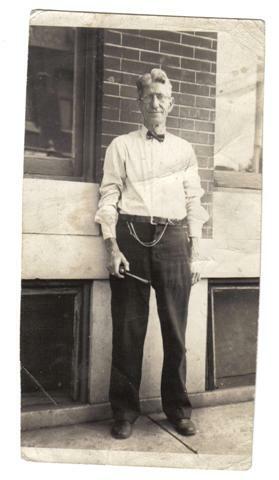 WILLIAM ANDREW2 RIDGE (WILLIAM ANDREW1)1,2 was born 25 Jul 1885 in Rich Hill MO3, and died 06 Jun 1958 in Baltimore MD3. He married ETHEL MAY LINDERBORN3,4 1910 in Jersey City NJ5, daughter of PHILLIP LINDEBORN and AMANDA SMITH. She was born 23 Mar 1890 in New Jersey5, and died 24 Jun 1959 in Baltimore MD5. 3. i. NINA FRANCES3 RIDGE, b. 19 Oct 1918, Baltimore MD; d. 24 Jul 1990.
iii. HAROLD RIDGE5, d. 08 Feb 19865.
iv. RALPH RIDGE5, d. 27 Mar 19835.
vii. MILDRED RIDGE5, d. 28 Nov 19865. 4. viii. AMANDA LAVERNA RIDGE, b. 12 Jul 1923, Baltimore MD. x. THOMAS RIDGE5, d. Age 18m5. xi. JUANITA RIDGE5, d. Age 3 or 45. 3. NINA FRANCES3 RIDGE (WILLIAM ANDREW2, WILLIAM ANDREW1)5 was born 19 Oct 1918 in Baltimore MD5, and died 24 Jul 19905. 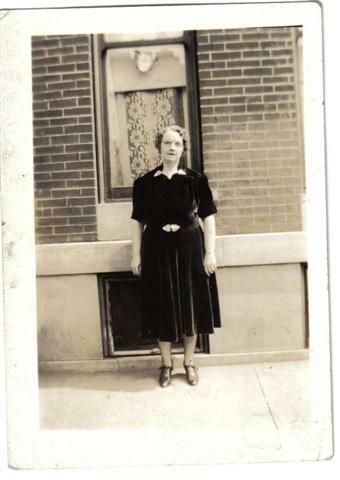 She married JOSEPH LUMBARD5 01 Jan 1935 in Baltimore Md5. He was born 02 May 1911 in Selinsgrove Pa5, and died 20 Jun 19545. 5. i. NINA4 LUMBARD, b. Baltimore MD. 4. AMANDA LAVERNA3 RIDGE (WILLIAM ANDREW2, WILLIAM ANDREW1)5 was born 12 Jul 1923 in Baltimore MD5. She married HORCE RICHARD CRAYCRAFT5 04 Apr 1942 in Ellicott City Md5. He was born 16 Nov 1921 in Fullerton KY5. notes from Nina indicate she had 7 children, not just the one I have here. i. HORACE RICHARD4 CRAYCRAFT5, b. 29 Sep 19475. 5. NINA4 LUMBARD (NINA FRANCES3 RIDGE, WILLIAM ANDREW2, WILLIAM ANDREW1)5 was born in Baltimore MD5. She married CARL LUCIAN SULOUFF5. 8. i. CARL EMERY5 SULOUFF. 6. JUANITA4 LUMBARD (NINA FRANCES3 RIDGE, WILLIAM ANDREW2, WILLIAM ANDREW1)5. She married WOODROW CULP5. 7. JOSEPH4 LUMBARD (NINA FRANCES3 RIDGE, WILLIAM ANDREW2, WILLIAM ANDREW1)5. He married LINDA THEODELINDA5 in Germany, while he was in the service5. She was born in Munich Germany5. 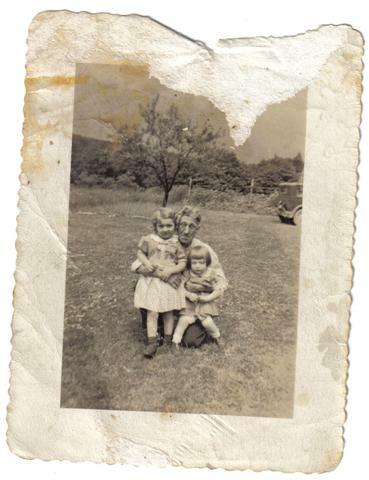 Betina was Linda's sisters child, born when her sister was a teen ager. They adopted her. 8. CARL EMERY5 SULOUFF (NINA4 LUMBARD, NINA FRANCES3 RIDGE, WILLIAM ANDREW2, WILLIAM ANDREW1)5. 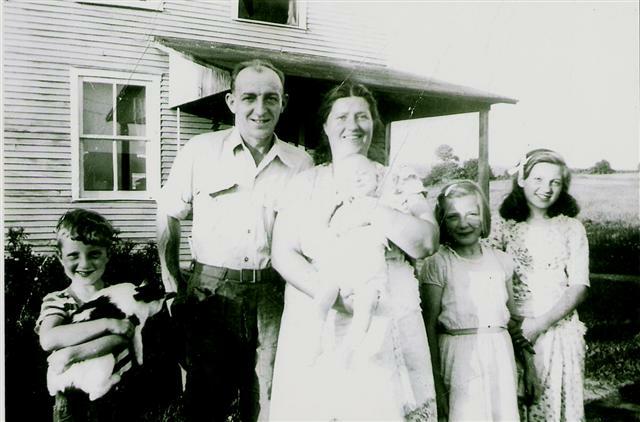 He married JUNE ALICE CONFER5. She was born in Milton Pa.
i. HEATHER ALICE6 SULOUFF5, b. 21 Dec 1972, Milton Pa5; m. DANIEL WARD TRUCKENMILLER, 07 Dec 1991, Revival Tabernacle, West Milton, Pa; b. 14 Dec 1971, Watsontown Pa.
9. JUANITA5 CULP (JUANITA4 LUMBARD, NINA FRANCES3 RIDGE, WILLIAM ANDREW2, WILLIAM ANDREW1)5. She married ROBERT POOLE5. 10. LORENA5 CULP (JUANITA4 LUMBARD, NINA FRANCES3 RIDGE, WILLIAM ANDREW2, WILLIAM ANDREW1)5. She married KEITH MASON5. 11. KATHLEEN5 CULP (JUANITA4 LUMBARD, NINA FRANCES3 RIDGE, WILLIAM ANDREW2, WILLIAM ANDREW1)5. She married KEVIN DELOSIER6,7. i. AZA RAI6 DELOSIER7, b. 2003, india7. iv. SCHYLER DELOSIER7, b. 20037. 12. SANDRA5 CULP (JUANITA4 LUMBARD, NINA FRANCES3 RIDGE, WILLIAM ANDREW2, WILLIAM ANDREW1)7. She married JOHN PELGER7. 1. Lumbard.FTW, Date of Import: 22 Jan 2006. 2. Amanda Laverna Ridge's Birth Certificate, (7/12/1923). 3. Lumbard.FTW, Date of Import: 22 Jan 2006. 4. Amanda Laverna Ridge's Birth Certificate, (7/12/1923). 5. Lumbard.FTW, Date of Import: 22 Jan 2006. 6. The Daily Item, Valley couple's adoption plans in limbo following tsunami disaster--------------------------------------------------------------------------------By G. Wayne LaeppleThe Daily Item--------------------------------------------------------------------------------SELINSGROVE â?? The days since the Christmas Day earthquake and tsunami in Asia have been incredibly stressful for Kathleen and Kevin DeLosier.A child they hope to adopt lives in an orphanage in the city of Chennai on the coast of India, a city that was devastated by the tsunami. "The orphanage is six miles inland," Kathleen reported, "and we were told it was not damaged. "The problem, she said, is that the Indian lawyer to whom they have given powerof attorney and other officials who must approve their application to adopt ababy girl named Aza Rai are all residents of Chennai, and they have no way ofknowing whether those people survived the waves. DeLosier fears that the magnitude of the disaster in India may stall theprocess, and she and her husband are trying to find someone who can help them break through the logjam.Indian regulations required everything to be completed in one year, and if itisnâ? ?t, the entire process must start again. Because the babyâ? ?s family wasfrom a lower caste in India, officials there donâ? ?t seem in any hurry to moveher adoption along, DeLosier said.Sitting in the break room at Selinsgrove Ford, where her husband is assistantsales manager, Kathleen struggles to keep her emotions in check.She holds a photograph of the little girl. "Her name is Aza Rai," she said, pronouncing it "asia ray. ""The first time I saw her picture, those big eyes just sucked me in. "DeLosier explains that the little girl with the big eyes was surrendered foradoption by her parents because they would be unable to pay a dowry for her.They have two other daughters whose dowries would come first.In addition, Aza was born with a clef. 7. Lumbard.FTW, Date of Import: 22 Jan 2006.